Designed For The Most Aggressive Tire And Wheel Packages Around. 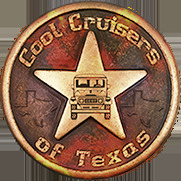 You don't have to honk to get noticed -- with the wide coverage and tough, bold looks of Bushwacker® Cut-Out™ flares. 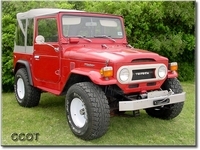 These flares make a powerful statement with some of the widest tire coverage you can find. They extend a big 2.5" beyond the wheel-well opening, so they're perfect for those aggressive, super-sized tires and tougher look. 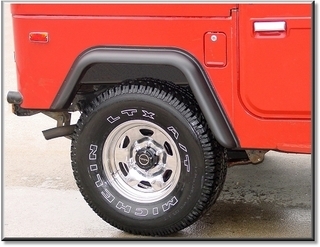 These Bushwacker flares are specially constructed for CCOT. This is a new generation of Bushwacker Flares. Flares are made of Dura•Flex®, a high-impact thermoplastics that is an indestructible space age material. Others sell Urethane flares that lose their shape or ABS flares that crack and break, but CCOT's Dura•Flex® flares will look and perform like new for years to come. Dura•Flex® offers flexibility and strength to retain the flares' original shape even in the most extreme weather and road conditions. 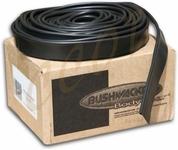 Bushwacker Dura•Flex® flares are the best flares money can buy. Install with or without cutting away quarter panel. If quarter is not cut away, then you can install Flare over wheel well opening and black-out (flat black paint) wheel well lip that shows under Flare (to hide lip). Painting is easy (not like painting other flares) - Scuff and shoot, Bushwacker Dura•Flex® flares require no flex additives or special prep work. Cut-Out™ Flares are easily attached with self tapping screws or pop rivets and space age adhesives. Each set of flares comes complete with easy step-by-step detailed instructions for painting and installation. Includes self tapping screws and rubber (gimp) gasket strip that fits between the flare and body. TIP: When installing flares - If original quarter panel is not cut, then you may want to black out (flat black) panel under flare to conceal original panel. White finish looks great as is or paint to match.